With the school year and all of the kids’ extracurricular activities in full swing, life is going full speed ahead even though I’m not quite ready. Nonetheless, it actually feels good to get back into a routine again. None of this stay-up-til-9:30pm “because the sun hasn’t gone to bed yet” business anymore. Homework, swim lessons, dance, and karate are here to stay for the next 9 months, but I think it’s important that we make every attempt to sit down for a family dinners during the week and share #OrganicMoments together. 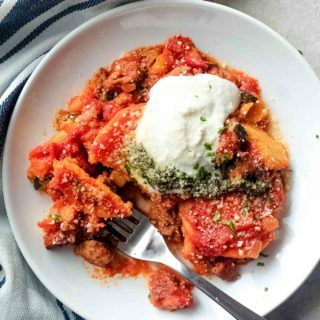 Three words come to mind: easy weeknight meals. 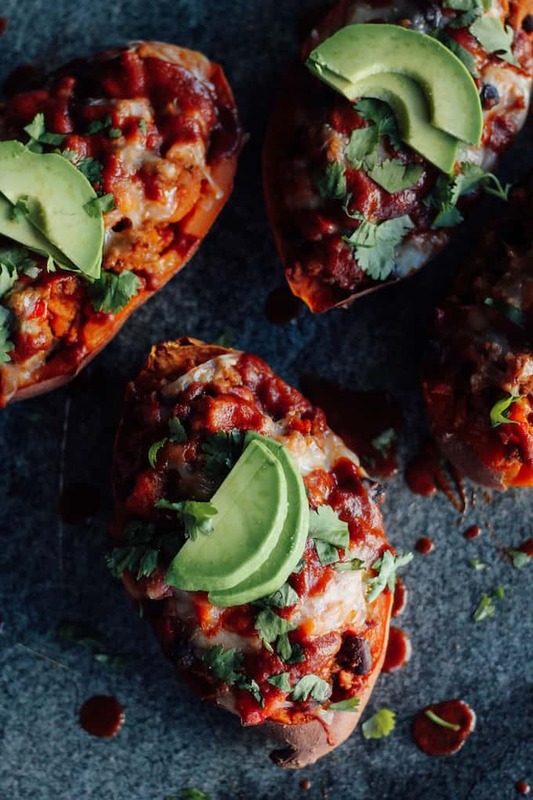 These Turkey Enchilada Stuffed Sweet Potatoes have been our go-to dinner for the past month. 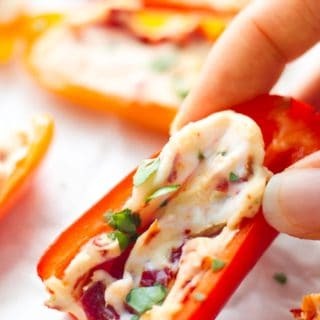 Not only are they quick and easy, but it makes a wholesome and filling meal the whole family will love. What I love the most about this recipe is the Simply Organic Enchilada Simmer Sauce, which holds all the spices and flavoring that you’ll need. No need to fumble through your spice cabinet for the right seasoning. It’s all packed into this simmer sauce packet, which I simply poured into the sauté pan with the ground turkey and chopped bell peppers. To making the filling, I baked the potatoes in the oven until fork-tender. Then, I scooped out the potato flesh and added it to the enchilada filling in the pan, resulting in a glorious enchilada-flavored mash-up with sweet notes from the potatoes and bold and savory Southwest flavors from the meat and veggies. 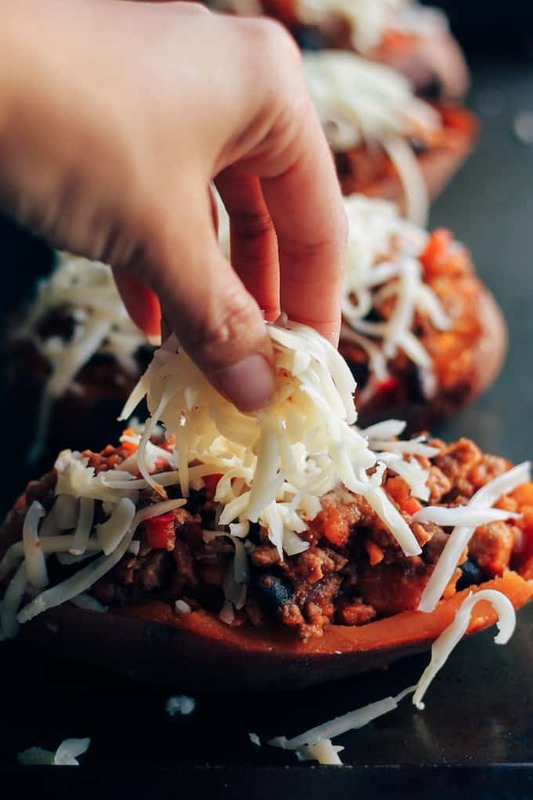 I scooped the filling back into each hollowed-out potato half, topped with cheese, and placed it back in the oven to warm until the cheese was melted and gooey. 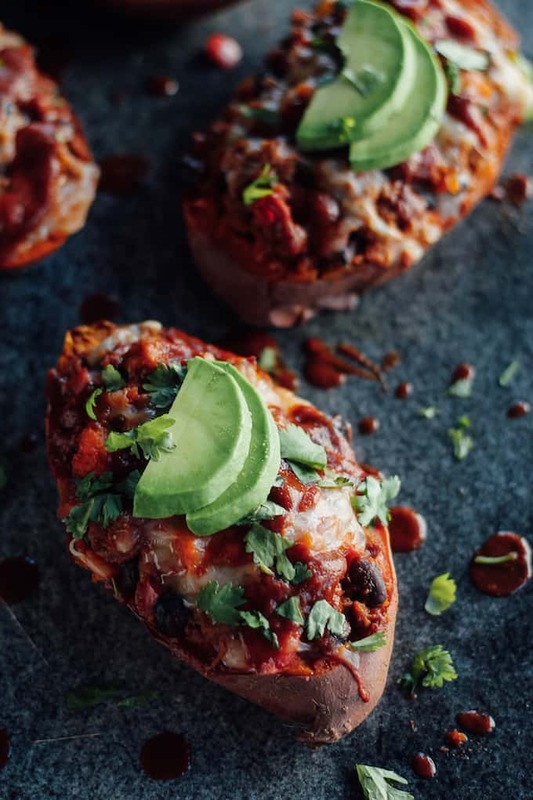 I topped each stuffed potato with a sprinkle of fresh cilantro and some avocado slices to add creaminess to the dish. 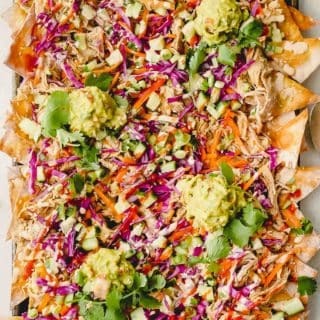 All the flavor of traditional enchiladas, loaded with extra veggies and an added healthy twist from the sweet potato. You won’t even miss the tortillas! 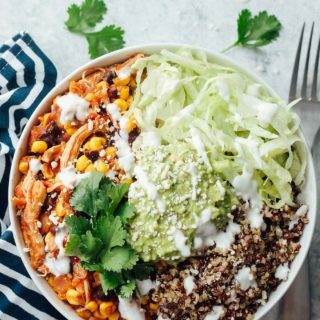 Of course, if you are a traditionalist when it comes to your Mexican dishes, feel free to use the sauce in your favorite enchilada recipe, but keep in mind that Simply Organic’s simmer sauces are versatile and can be used in a variety of other types of dishes to give you that rich Southwest flavor. 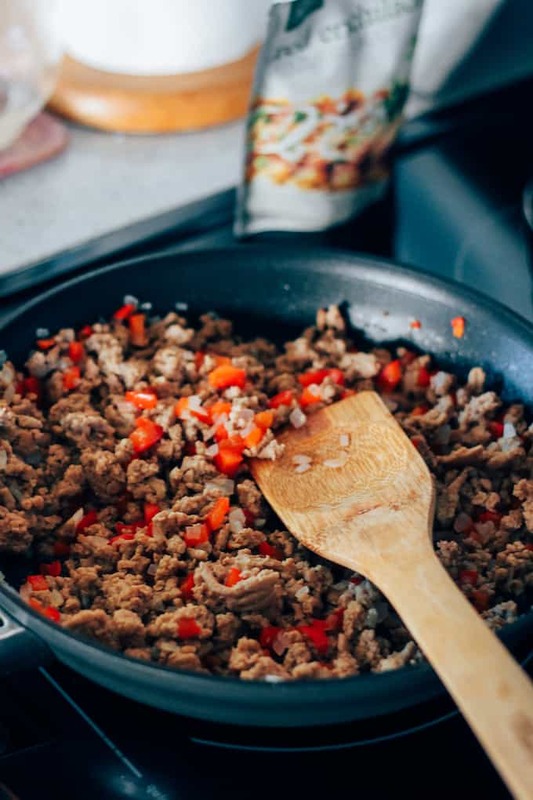 In addition to the enchilada simmer sauce, they also offer fajita, mild taco, and southwest taco sauces. Chicken tacos, fajita veggies, game day chili…so many possibilities! 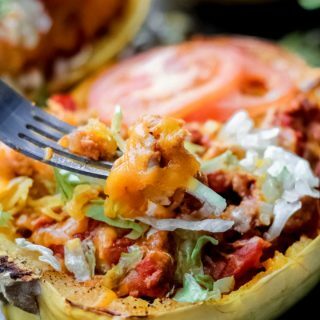 Do easy, organic, Southwest-flavored meals sound amazing to you? 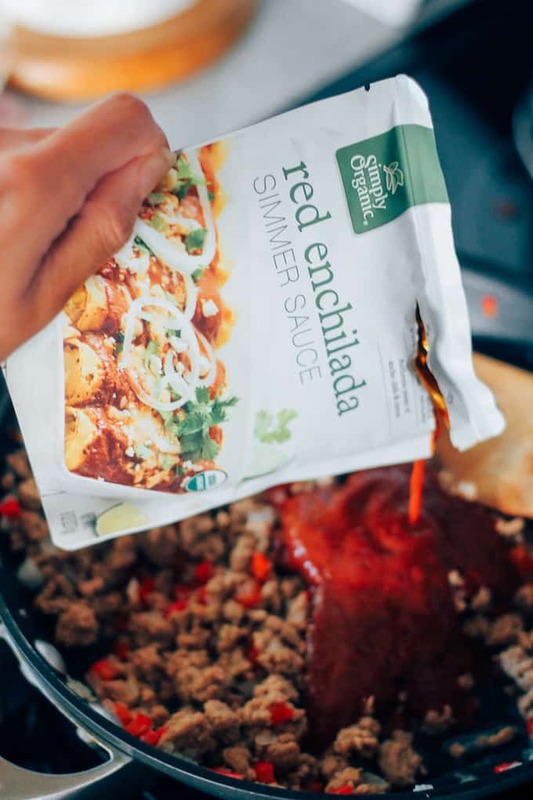 Click here for more meal ideas and product information for Simply Organic’s line of Southwest Simmer Sauces. Trust me. You’ll want to have a a few of these sauce packets in your pantry! Disclaimer: This post is not sponsored, but Simply Organic did send me samples of their Southwest Simmer Sauces to use for this recipe. All thoughts and opinions are my own. Bake the potatoes: Preheat your oven to 375 degrees. Prick the potatoes with a fork. Bake the potatoes for about 45 minutes until fork tender. 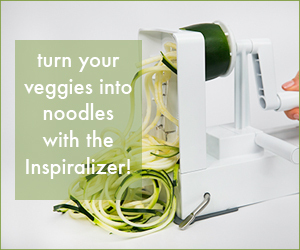 Alternatively, you can microwave them for 8-10 minutes. When cool enough to handle, scoop out the inside of each potato, leaving a ¼-inch thick lining. Place the potato flesh in a bowl and set aside. Prepare the filling: Add the oil to a large pan over medium-high heat. Once heated, brown the meat until it's cooked through. Add in the onion and bell pepper. Cook for another 4-5 minutes until the veggies have softened. Open the simmer sauce packet and reserve ⅓ cup for topping later. Stir in the remaining simmer sauce, black beans, sweet potato flesh. 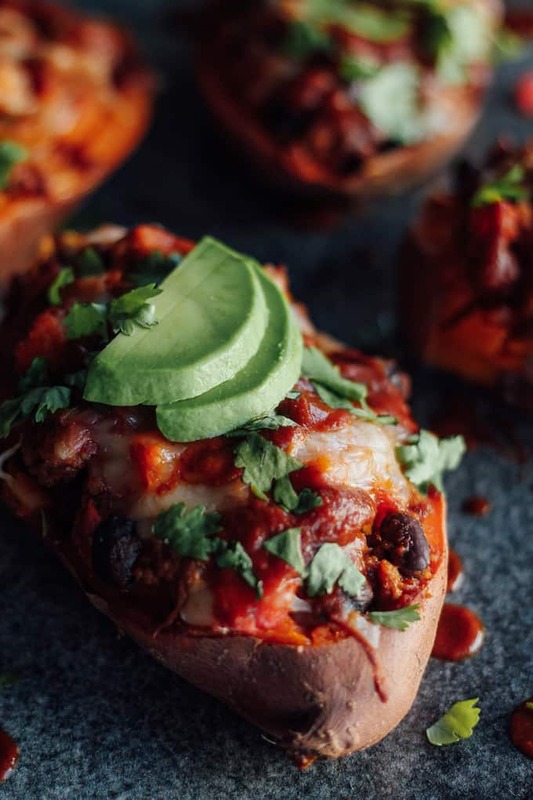 Once combined, fill each potato skin with an equal amount of filling. Top each potato with cheese. Bake again and serve: Bake in the oven for 10-15 minutes until the potatoes are heated through and the cheese is melted. Drizzle the extra simmer sauce over the top. 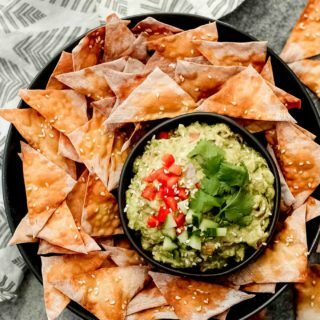 Sprinkle cilantro on top and serve with avocado slices.